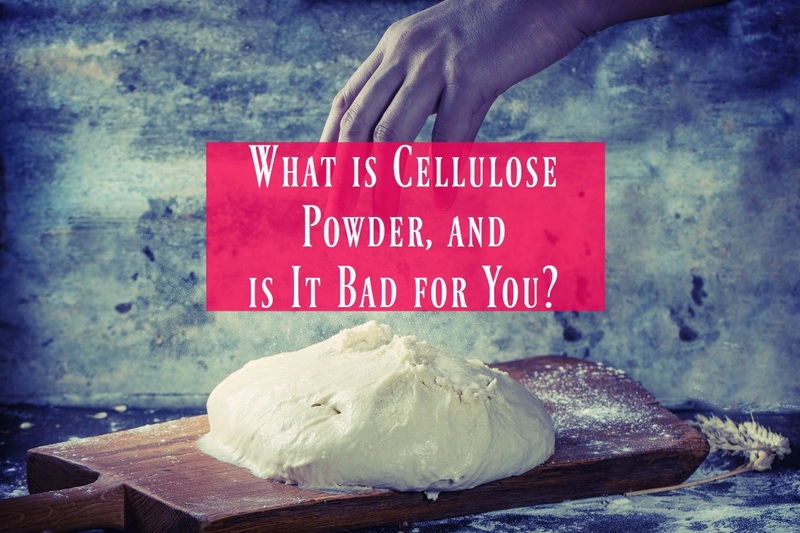 Home » Blog » What is Cellulose Powder, and is It Bad for You? What is Cellulose Powder, and is It Bad for You? Remember that big scandal about wood pulp in Parmesan cheese a few years ago? Are you worried about the health effects of fillers in creamers, ice creams, and shredded cheeses? It’s good to wonder about the quality of what you’re eating, and to take the time to read what’s on the ingredients labels of the things you buy. If you’ve ever seen cellulose powder in your food’s ingredients, worry no more: we’re here to clear up the fiction and give you the facts about this infamous filler. Is Cellulose Powder Wood Pulp? News outlets in 2014 were full of headlines about how you might be feeding your family wood pulp. A scandal about Parmesan cheese brought a little-known filler called cellulose powder into the limelight, and many were quick to point out the fact that it’s a derivative of plant fibers. 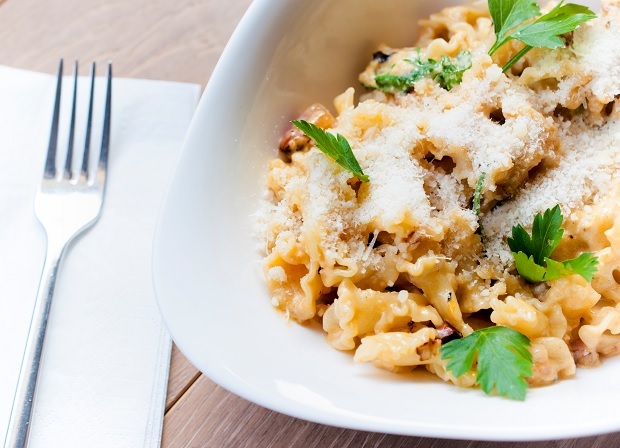 The idea of wood pulp in our Parmesan cheese has been the thing that stuck in the public’s mind ever since, and it pops up in various iterations every few years. Worry not, though: cellulose powder is not shorthand for wood pulp! Powdered cellulose is a derivative of any plant you can imagine, from trees to grains to fruits and vegetables. It’s the stuff that gives structure to cell walls and limits plant growth. You’re just as likely to be consuming cellulose powder from leftover apples and potatoes as you are from the crates that carry them. Sensationalized news outlets aside, cellulose powder is a great thickening agent, emulsifier, and anti-caking agent. Cellulose powder is produced in a way that doesn’t involve any dangerous or harmful chemicals. It’s not dangerous for you, either, especially not in the quantities you’re getting it in. 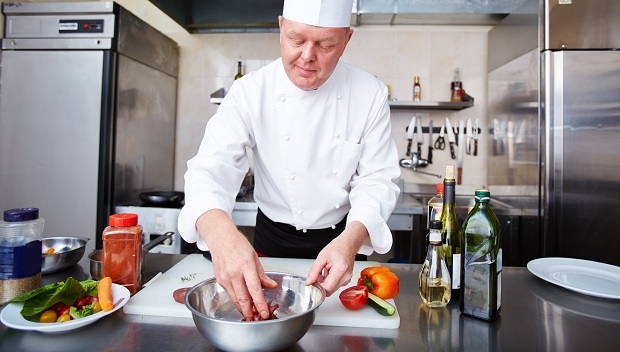 In fact, it’s classified as “Generally Regarded as Safe” (GRAS), which means that there is consensus, not controversy, among the scientific body that a food additive is safe when used for its intended purpose. And cellulose powder has been around since before the FDA came into existence, meaning we’ve had plenty of time to study its health impact. The word ‘cellulose’ covers a large number of things, and it’s wrong to assume that the word means the same thing across all contexts. So no – powdered cellulose isn’t dangerous as a food additive, and you don’t need to go avoiding it. The FDA came down on that Parmesan cheese company back in 2014 because the company was misrepresenting their product, not labeling the fact that they had additives, and using different, cheaper cheeses than the ones that were on the label. Despite what you may have heard elsewhere, the FDA feels there is no need to have a limit to how much of powdered cellulose can be in grated Parmesan cheese aside from general safety regulations about food additives. That number, however, often gets quoted as the “safe” amount of cellulose powder to have in grated cheese, and such conclusions are unfounded. Cellulose powder does not have any known side effects other than those related to the fact that it is an insoluble fiber. Fibers are an essential nutrient in the diet, and ones our bodies do not produce naturally. They come in two forms: soluble and insoluble. Soluble fibers are dissolved in the stomach and intestines, and produce a bit of gas in the process. They help with weight management, lower cholesterol, stabilize blood sugar, and promote healthy gut bacteria. Insoluble fiber, which is usually in the form of cellulose powder, helps prevent constipation and reduce gastrointestinal blockage, because it absorbs liquids and sticks to other solids waiting to form into the stool. Those with IBS or thinner, more watery stools should avoid insoluble fibers like powdered cellulose, as they may worsen symptoms. Why is Cellulose Powder Used? Powdered cellulose is a calorie-free additive; your body derives no energy from it. You may also find it coating pre-shredded bagged cheeses to keep it from sticking together. When you next read about wood pulp in fast food burgers, keep in mind that cellulose powder is useful as a binder for meats. It also helps preserve buns and keep them fluffier for longer, as bread without any extra additives starts to go stale in just a few hours. In pre-grated Parmesan and a few other foods, it’s used as a filler, both to cut calories and to reduce the cost of production. This is especially important for foods like pre-grated Parmesan cheese, which would become prohibitively expensive if they were made purely of the good stuff. Meats and hard, long-aged cheeses cost a large amount of time and resources, and it can be difficult to meet consumer demand and keep prices reasonable at the same time. Powdered cellulose is even used as a stabilizer or pill binder in some pharmaceutical drugs. Both of these applications, however, require even more rigorous testing to approve, so consumers can rest easy when seeing cellulose powder on an ingredients label. Conclusion: Is Cellulose Powder Bad for You? Our longer answer? If you have IBS or are struggling with runny stools, you might want to avoid insoluble fibers like cellulose powder. However, cellulose powder is a safe food additive that acts as a legitimate source of dietary fiber without any caloric costs, and provides a number of benefits to food production, storage, and quality. It has no known health side effects other than those associated with its status as an insoluble fiber. It’s completely understandable to not want adulterated Parmesan cheese, however. If you’re worried about purity, you’ll be safe picking up a wedge of Parmesan and grating it yourself. Drinking Green Tea Before Bed?! Good or Bad?